Before I start waxing lyrical about the botanical delights of Bhutan, which are plentiful, I should firstly point out that our trip is not officially a botanical one (to keep the peace with Him Indoors), and secondly that much of my botanising has had to be carried out from the back of a four wheel drive. There are only so many times one can shout “stop the car” without becoming deeply unpopular. To Him Indoors one rhododendron looks very like another. That said, I’ve seen so many interesting plants from the car window that my head hurts. I’ve spent most journeys clutching my indispensable copy of “Flowers of Bhutan” and noting down names on my iPhone whilst glued to the passenger window. Thank goodness the average speed here is 20 miles an hour. There are hundreds of plants here I have never heard of and may never see again in their natural habitat. Bhutan is one of the worlds top biodiversity hot spots and after just a few days here I am in absolutely no doubt of it. This may very well be the last Shangri-La. Over the next few posts I hope to take you along on our journey from west to central Bhutan in manageable chunks. 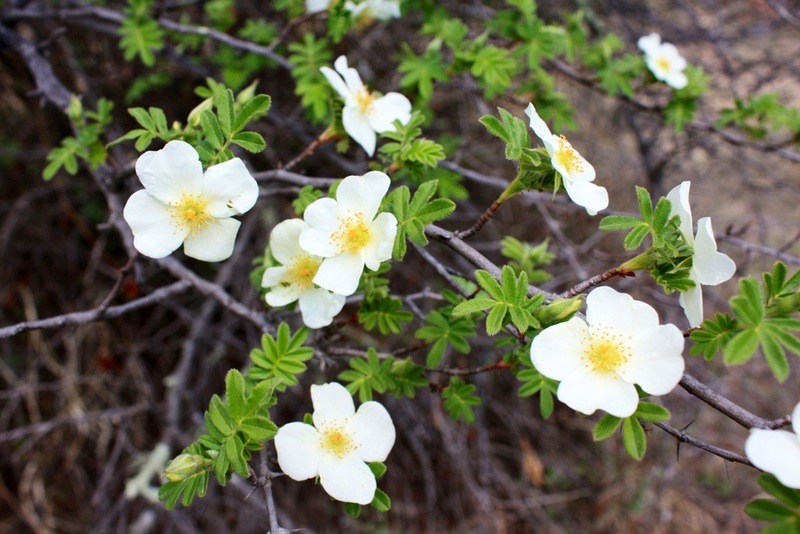 After landing at Paro’s International airport, built in traditional style like everything else in Bhutan, the first plant which I couldn’t easily identify turned out to be Rosa sericea, the silky rose, or in Dzongkha, the language of Bhutan, “sew shing”. Early to bloom, the primrose yellow flowers are small but plentiful. Edible orange-red fruits follow in the autumn. It grows here on dry open hill slopes but would make a really pretty shrub for a wild garden. Our first stop being the capital, Thimphu, we set off on a 2 hour journey down the Paro Chuu (Chuu meaning river) and back up the Wang Chuu to our destination. Sharing the same parched environment as Rosa sericea was a more recognisable and equally thorny shrub Berberis asiatica. Surrounding the towers at either end of the precarious footbridge to Tamchhog Lhakhang (at the top of this post), it tumbled right down to boulders at the water’s edge, the yellow flowers sharp against the blue-green water. Happy at a broad range of elevations, even growing well under pine trees, it occupies a very similar position to gorse in the UK. 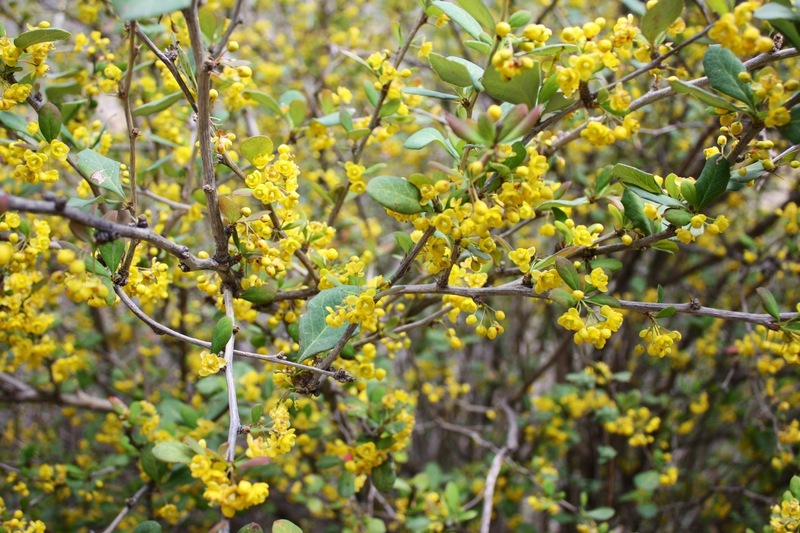 I can’t be sure, but the berberis below was different in many ways to B. asiatica and I think it could be Berberis praecipua. Certainly very pretty with its fresh green leaves and short pendant flower stems. This shrub had the most aggressive thorns I’ve seen beyond an agave, sharp and strong enough to pierce the thickest hide. Our guide told us that the fruits are used in Bhutanese cooking in the same way as black pepper and are known as ‘tingye’ in Dzongkha. 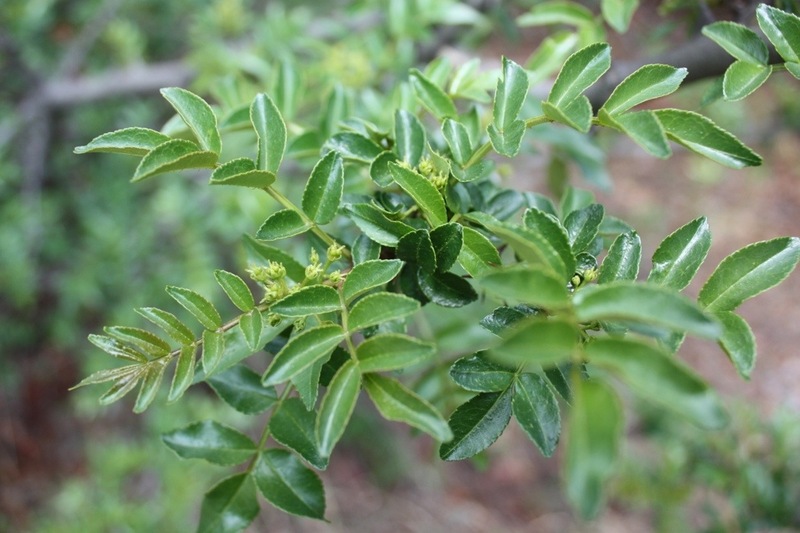 Turns out it’s Sichuan pepper, derived from two species of the genus Zanthoxylum, including Z. simulans and Z. bungeanum. I am not sure which this is, but we saw a much less thorny species in Punakha. 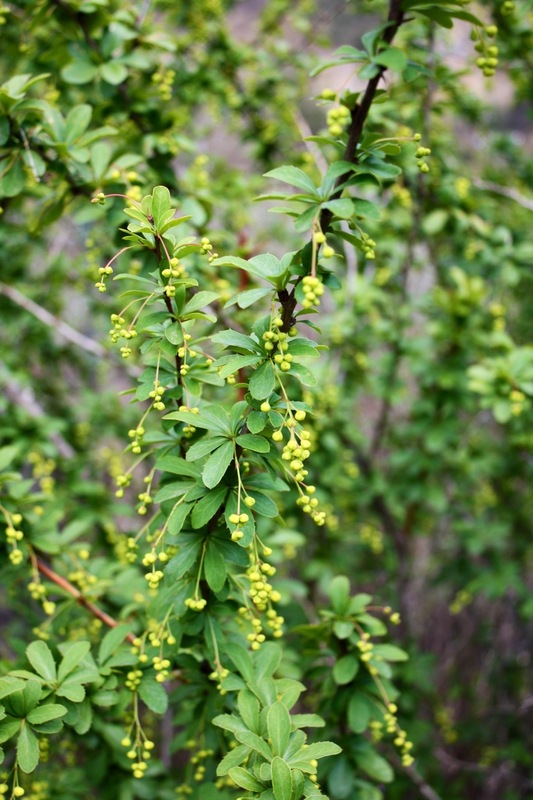 When broken, the leaves and yellow-coloured sap wood give off a strong but pleasant peppery lemon scent. Finally, to the rose amongst all these thorns, Buddleja crispa. 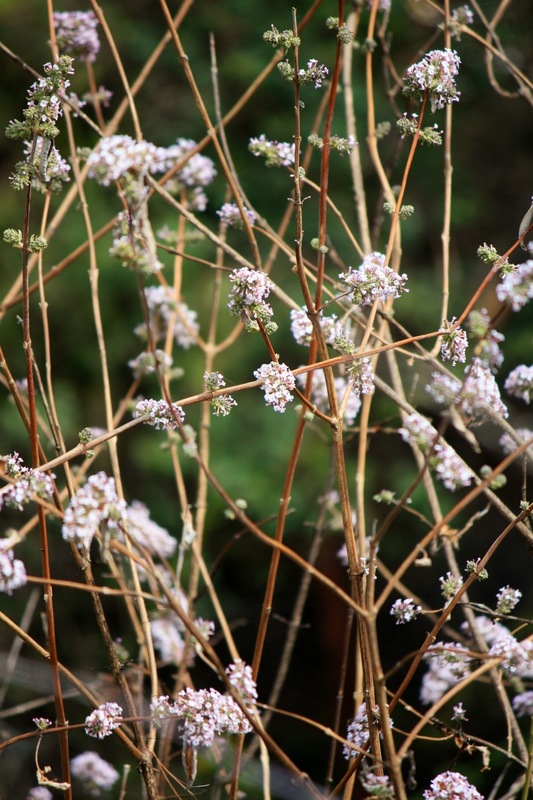 Although looking very much like its more robust cousins, Buddleja crispa possesses the delicate appearance of a viburnum or daphne, its bare stems circled by ruffs of pale lavender flowers. Flowering very early and looking rather spindly without leaves, it would be interesting to know if this would flourish in a sunny spot at home. In my next post, over the Dochu La pass with lashings of rhododendrons, magnolias and primulas. I am so jealous I am not talking to you any more! I’ve only just got started! So exciting to see plants that I never saw/heard of – Thanks! I’ll wait for your next post – with ‘lashings’ of images please. I have just returned from a visit to Bhutan and have found your blog while searching for flower names. I had not had the time to photograph every flower I saw and didn’t think i’d ever be able to identify them. Your blog has helped me do that, so thank you! The roads are better than at the time of your visit I think! I’m very pleased to hear that. Progress happens, even in Bhutan! I’d love to go back. Did you have a wonderful time?